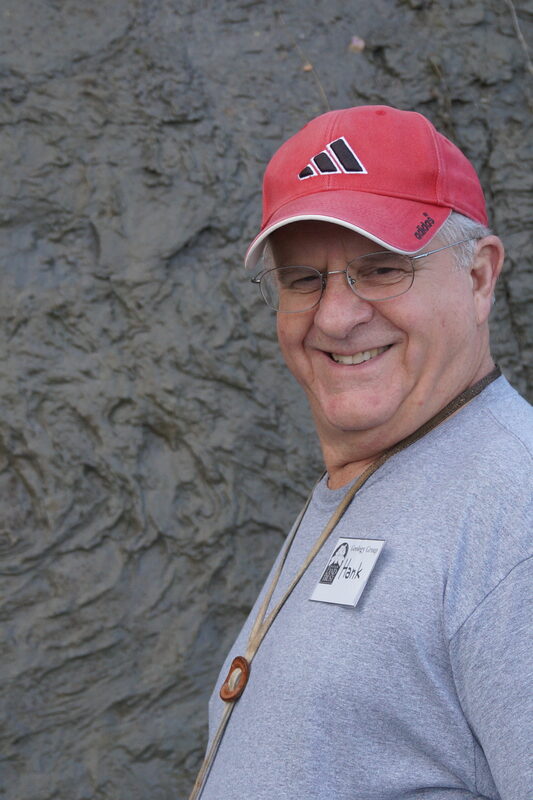 Hank Schasse of Olympia, WA, will discuss the geology of the Port Townsend region. The one-hour lecture will be at the Jefferson County Public Library in Port Hadlock starting at 3:30 pm on Friday, June 26th. Seating is limited to about 80 persons. There is no cost for the lecture, but a $5 donation would be appreciated to offset costs associated with travel and other support for the speaker and event. 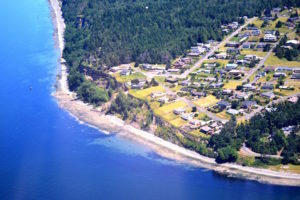 Port Townsend sits at the northern end of the Quimper Peninsula, a promontory that juts northeast into the Salish Sea. The peninsula is underlain by Tertiary rocks (~50 to ~25 million years old, here) that are composed of locally erupted oceanic basalts and associated conglomerates, and marine sandstones, other conglomerates, and intervening shales. These rocks have been uplifted, tilted, and faulted through progressive onshore deformation associated with Cascadia subduction and northern transport of crustal rocks. With the onset of continental glaciation about 2 million years ago, tongues of ice as much as 4,000 ft thick flowed southward from British Columbia and plowed across the topography as far south as Olympia and west to the coast. 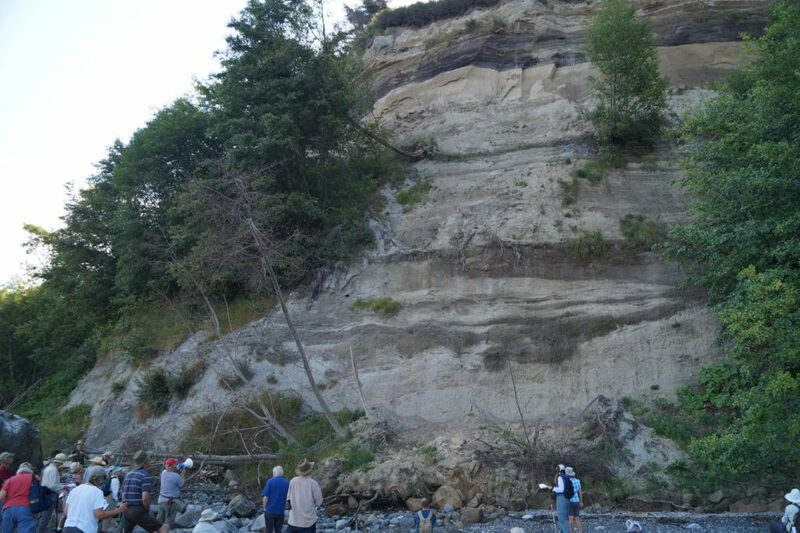 As many as a dozen separate glaciations occurred, but only the latest advance (the Vashon, ~20,000 to 12,000 years ago) has left a clear record of its movement and deposits. Hank will illustrate many of these relations during his talk, based on his 2004-05 mapping of the Port Townsend and Port Hadlock areas. Come prepared to ask general questions about your favorite areas and outcrops. Field trip included a walk along Discovery Bay beach to fossil bearing outcrop. 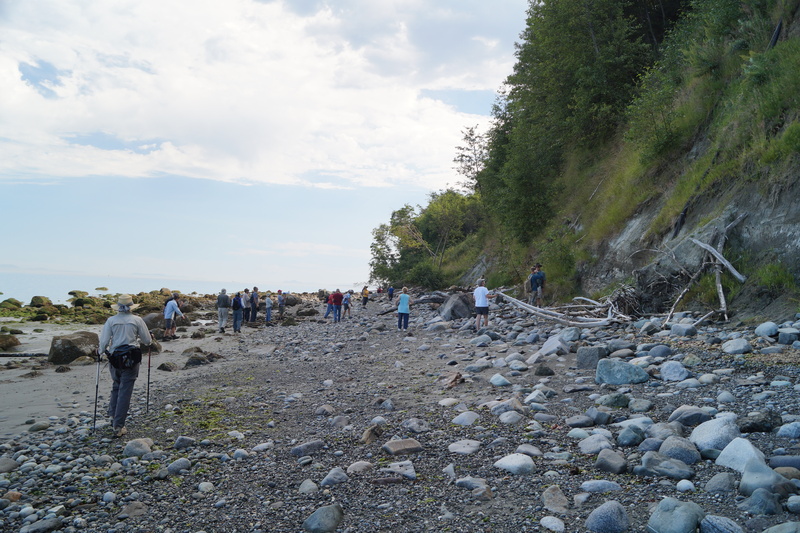 Field trip included walk and discussions of glacial stratigraphy along the beach at Fort Worden. Hank Schasse as a geologist for the Washington State Department of Natural Resources, Geology Division spent much of his career mapping the geology of Washington. Hank is now retired but still loves to share his knowledge of the area of Port Townsend.